1996 Installed a new Uroko Rotary Lathe machine which increases production capacity and improves the quality of our product. 2001 Successfully penetrated into the USA market. Our plywood is mainly used in the Recreational Vehicle (“RV”) industry and high value added furniture industry. 2003 For continuous quality improvement, we added a Meinan SBAL-4 Rotary Lathe machine into the existing production line. The installation of the new machinery allowed us to reduce man power used in production, increase product quality and facilitate production processes. 2005 In order to cope with increasing demand, we added a Sunway four deck automatic Roller Dryer, which enabled us to expand our production capacity to the next level. 2006 Setting up of a power plant under URSB which reuses bulk waste to generate biomass energy to supply electricity to our office, production plant and hostel, which has significantly reduced our dependency on fossil fuel for our production. 2007 Installed a new Kikukawa sanding machine with computer-aided thickness detection. The computerized production process increased our quality control and production quality further. Added another upgraded Meinan Rotary Lathe machine into our production line. The installation of the new machinery is to cope with the increasing market demand for our plywood and meet our goal for continuous quality improvement. Acquired the Blue Cube formaldehyde emissions testing machine from the USA and established our own small chamber room for formaldehyde emissions testing. This investment further reflects our commitment towards quality control and ensuring we continuously meet our customer’s specifications and requirements. Became the first Malaysian plywood mill company certified as a CARB Certified Manufacturer by Professional Service Industries, Inc. 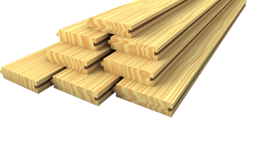 The CARB standards regulate formaldehyde emissions from wood products sold in California or used to make finished good for sale in California. 2009 Awarded the JAS certification by the Japan Plywood Inspection Corporation. JAS requires evaluation of the internal structure and managerial competence that supports the processes that occur along the organic chain and further focuses on verifying that systems are in place for deciding and ensuring the products meet the relevant standards (grading). 2010 Started a new production line for the manufacturing and sale of LVL as part of our growth strategy. 2011 Successfully listed on the Main Board of Bursa Securities on 28 April, 2011. 2012 Accredited as a certified Lacey Compliant Wood Products Manufacturer by Benchmark International, LLC (BMH) under the BMH Lacey Compliance Verification (LCV) Program affirming the legality of sourced forest products used in the manufacturing of our products.